We have Channels For all: Admins, GM's, Members Etc. Alliance Mall = Stormwind, ( Middle ) Ex : at the auctioner house. Horde Mall = Outside Orgrimmar, ( Durotar ). Furios Gladiator Is Free & Starter Gear. Questions About Wrathful & Relentless ? & Other Stuffs? It's Pve Geared Added Ofc. ( Waist, Boots & so ). As Starter If You Want Too. The Wrathful Costs, Around 40-50k honor, ONLY! 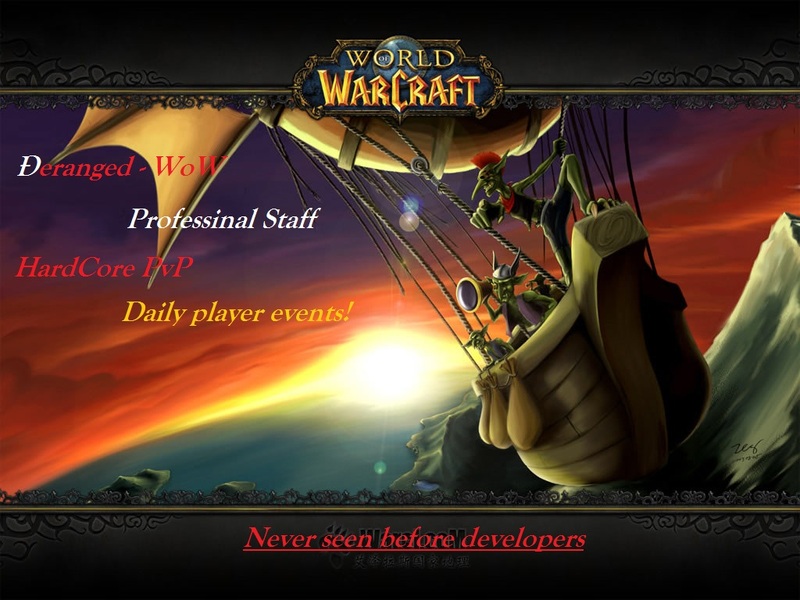 Go into your wow folder, (MUST have 3.3.5a)patch. (open wow, check at left corner, and look if it says:3.3.5(12340) then u have it. "http://deranged-wow.dyndns.org/" on this currently page. click there, u get ported to our " registration page " . Now fill in ur email, & pw & your username. Now You Should Be Done. Wait 5 Minutes Or More, After Your Creation.